This article provides introductory knowledge on the role of blood sugar and body fat on inflammation. Inflammation is the center-point of disease and the main contributor to obesity. NuMedica's hc3 Trim Lifestyle Program helps to address inflammation which in turn reduces body fat. Wellness, from the standpoint of the body, is reduced inflammation. Achieving physiologic balance is key to wellness. Physiologic balance (consider this the optimal environment for the body to function) involves the individual cell's ability to build, repair, detoxify, and perform their unique metabolic function. Physiologic balance is achieved through proper food, fitness, stress reduction disciplines, and nutrients. The combination of these results in peak metabolic performance... and a body through which dreams are realized! When we address these needs of the body, it allows the body to do what it does best: build lean body mass, reduce body fat, and ultimately drive down inflammation which is the central process of disease. Wellness, from the standpoint of the body, is reduced inflammation. Inflammation is the central meeting point of disease. You might consider inflammation to be disease and disease to be inflammation. Wellness, on the cellular level, is REDUCED INFLAMMATION. Blood sugar (glucose and fructose) is also inflammatory to the body because excess sugar will bind to proteins in the blood stream creating "advanced glycation end products", or AGEs. AGEs are known to be associated with age related diseases and diabetes-related inflammatory conditions. Inflammatory conditions include asthma, arthritis, heart attack (due to atherosclerosis or blood vessel inflammation), and neuropathy. In fact, cooking can promote disease through the production of AGEs. 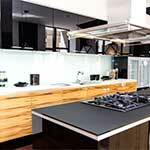 Cooking is chemistry: combing two or more elements in the presence of heat! So, super-heated foods and sugars (think french fries and funnel cakes) can create AGE products by causing sugars to bind to proteins. Be aware, you can actually ingest AGE products which may be the equivalent of eating inflammation! Essentially, you might be eating inflammation. No nutritional product, diet, or herb can replace optimal eating habits. Supplements in and of themselves are helpful for providing missing nutrition but they are not a substitute for poor diet! Unfortunately, very few people understand what healthy eating means- so we encourage to be informed and apply what you should know! We provide Wellness Educational Resources on our website that also include a Wellness Blog and a Healthy Living Whole Foods Cookbook. There are many other sources of reliable information including PubMed and your healthcare providers. How does the hc3 Trim Lifestyle Program nutrients help reduce inflammation and promote wellness? NuMedica hc3 Trim Lifestyle Program is a revolutionary system designed to help you live well: the driving purpose of SupplementRelief.com. We want to provide you with high quality NuMedica supplements and Wellness education designed to help you achieve your wellness goals. Those goals may be weight loss, resolve fatigue, build muscle or improve your memory. hc3 Trim Lifestyle Program is a robust wellness regimen designed to jump start your wellness goals or help you through plateau states through improving lean body mass and lowering inflammation. For instance, obesity is known to be an inflammatory state. 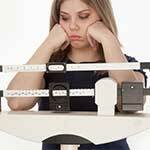 Individuals who regain their weight, or who are resistant to weight loss, often have underlying inflammation. This underlying inflammation can be created by excess body fat, which is known to produce inflammatory agents called cytokines. hc3 Trim Lifestyle Program includes a unique herb from Africa which is known to stimulate fat loss through a body communication mechanism called adiponectin. Adiponectin is a protein produced by fat cells that promotes health; it is thought that resistance to adiponectin or low adiponectin production contributes to a variety of metabolic diseases and dysfunctions by increasing body fat and inflammation. 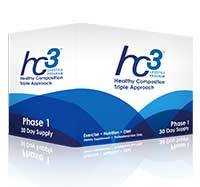 hc3 Trim Lifestyle Program can be part of your wellness solution. It includes a unique combination of nutrients and herbs designed to stimulate the action of ADIPONETCIN on the body also promote the body's normal metabolic detoxification process. Research shows that adiponectin decreases liver production of glucose, increases the uptake of blood sugar, stimulates fat breakdown and clearance in the body, protects bloods vessels, increases insulin sensitivity, and promotes weight loss. Inflammation is central to disease. Blood sugar is associated with inflammation. Excess fat tissue promotes inflammation through reduced production of the protein hormone adiponectin. 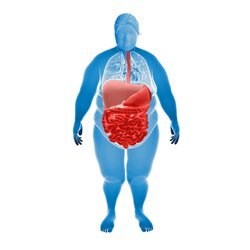 Nutrients and the african herb X promote physiologic balance and activity of adiponectin to reduce fat. Reducing fat will reduce inflammation. Reducing fat will reduce blood sugar levels, which also reduces inflammation. 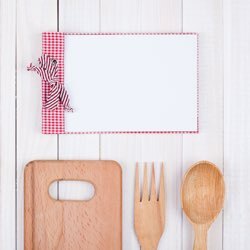 Educating yourself on clean eating, stress reduction, and optimal gastrointestinal health along with optimal nutritional supplementation can help you achieve wellness through balanced body systems! Obviously, this is a complex issue and represents the cutting edge in the science of wellness. Srikanth V, Maczurek A, Phan T, Steele M, Westcott B, Juskiw D, Münch G. Advanced glycation endproducts and their receptor RAGE in Alzheimer's disease. Neurobiol Aging. 2009 May 21. Simm A, Wagner J, Gursinsky T, Nass N, Friedrich I, Schinzel R, Czeslik E, Silber RE, Scheubel RJ. Advanced glycation endproducts: a biomarker for age as an outcome predictor after cardiac surgery? Exp Gerontol. 2007 Jul;42(7):668-75. Zimmerman GA, Meistrell M 3rd, Bloom O, Cockroft KM, Bianchi M, Risucci D, Broome J, Farmer P, Cerami A, Vlassara H, et al. Neurotoxicity of advanced glycation endproducts during focal stroke and neuroprotective effects of aminoguanidine. Proc Natl Acad Sci U S A. 1995 Apr 25;92(9):3744-8. Shaikh S, Nicholson LF. Advanced glycation end products induce in vitro cross-linking of alpha-synuclein and accelerate the process of intracellular inclusion body formation. J Neurosci Res. 2008 Jul;86(9):2071-82. Fuentealba D, Friguet B, Silva E. Advanced glycation endproducts induce photocrosslinking and oxidation of bovine lens proteins through type-I mechanism. Photochem Photobiol. 2009 Jan-Feb;85(1):185-94. Gul A, Rahman MA, Hasnain SN. Role of fructose concentration on cataractogenesis in senile diabetic and non-diabetic patients. Graefes Arch Clin Exp Ophthalmol. 2009 Jun;247(6):809-14. Gugliucci A, Bendayan M (1996). "Renal fate of circulating advanced glycated end products (AGE): evidence for reabsorption and catabolism of AGE-peptides by renal proximal tubular cells". Diabetologia 39 (2): 149-60. doi:10.1007/BF00403957. PMID 8635666. Yan HD, Li XZ, Xie JM, Li M (2007). "Effects of advanced glycation end products on renal fibrosis and oxidative stress in cultured NRK-49F cells". Chin. Med. J. 120 (9): 787-93. PMID 17531120. Take some time to purge your life of clutter, bad food, and stress! 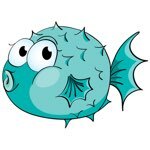 Omega-3s are like a bucket of water that is used to contain a campfire and keep it from spreading except on a cellular inflammation level. Learn more about these NuMedica Supplements on our website. Helps to reduce inflammation associated with chronic inflammatory conditions like osteoarthritis and rheumatoid arthritis. Provides 250 mg of curcuminoids delivered in phosphatidylcholine liposomes for optimal absorption and bioavailability. 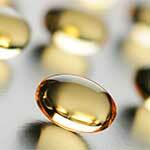 Provides omega-3 essential fatty acids for a stronger heart and improved brain function in a lipid concentrate form. Omega 600 provides omega-3 essential fatty acids for a stronger heart and improved brain function in a lipid concentrate form for convenience. Omega 780 provides omega-3 essential fatty acids for a stronger heart and improved brain function in a lipid concentrate form for convenience. Blends essential fatty acids from flaxseed oil, borage seed oil & fish oil to support cardiovascular, nervous & immune system.